Nintendo Life's tweet - "Mario Kart 8 Deluxe World Record Attempt Fittingly Destroyed By Blue Shell #NintendoSwitch #MarioKart #Speedrun "
The Blue Shell is the devil! It's responsible for many things like breaking up relationships, friendships and now attempting people from setting world records. Ouch. That hurts and I am only reading it. Seems like the blue shell doesn't only destroy friendships, it also makes you want to die! Ugh!! damn blue shell. Reading this genuinely makes me mad, I HATE the blue shell so much. I wish the was an option to remove the Blue Shell (and the coin) from the races. Blue shell does blue shell things. One blue shell means so much it kills hope and dreams. 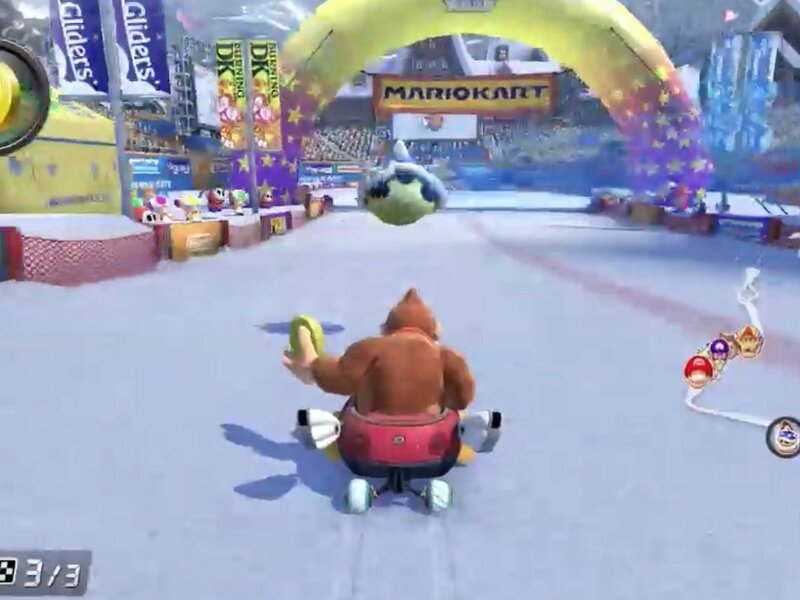 Just desert for Donkey Kong. Fs in the chat, please. @cmk8 We've all felt this pain! !